Lunar dust is sharp, jagged, and sticky, presenting a host of challenges to NASA astronauts on the surface of the moon. Anyone who has seen a dusty moonwalkers' suit in a museum can appreciate just how challenging an environment it was to walk on the moon. Back in the 1960s and 1970s, 12 people made the journey and worked on the lunar surface for as long as 27 hours, across three spacewalks. 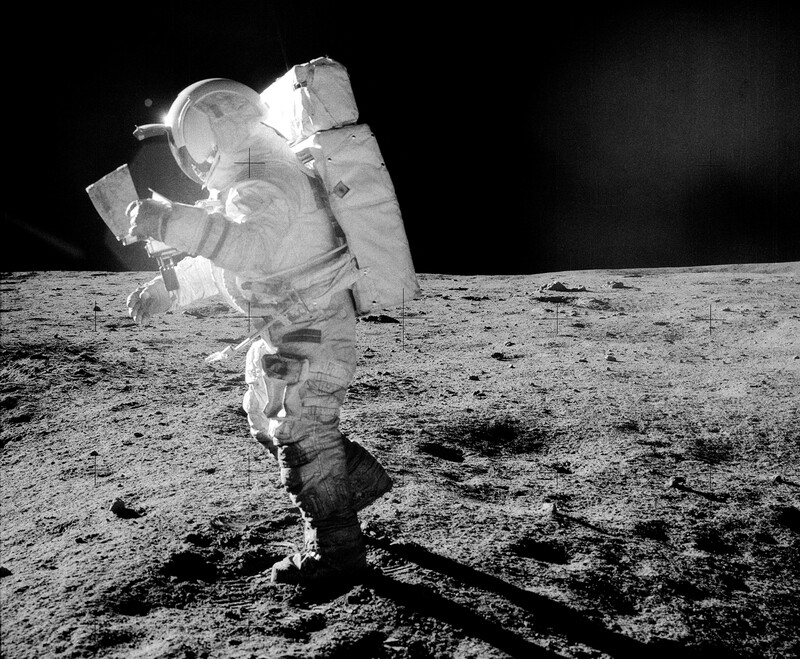 It's now nearly 50 years since the first moonwalk, and engineers are still trying to figure out how to solve the problems associated with lunar dust. One idea — led by Kavya Manyapu, a Ph.D. student at the University of North Dakota who also works on the CST-100 commercial spacecraft with Boeing for NASA's Commercial Crew Development program — is a dust mitigation technology integrated into the spacesuit itself. Her research, “Proof of concept demonstration of novel technologies for lunar spacesuit dust mitigation,” was recently published in Acta Astronautica. Her concept includes an active component and a passive component. The passive part is a resistive coating adapted from a NASA invention for thermal radiation surfaces. The active part is an electrodynamic dust shield concept originally developed at NASA to work on more rigid surfaces, such as solar cells. To adapt it for spacesuits, the shield has been changed to use carbon nanotube flexible electrodes to eject and remove the dust from the suit. So far, her team has done several demonstrations on pieces of a spacesuit's outer layer. In laboratory conditions, the system can repel more than 85 percent of simulated lunar dust. The next step will be to prove this concept works on larger portions of a spacesuit, she said. “The major issue the Apollo astronauts pointed out was dust, dust, dust,” Larry Taylor, director of the Planetary Geosciences Institute at the University of Tennessee, remarked in 2008. The abrasive yet gummy lunar dust stiffened the joints of the suit and wore away layers of tough material on its boots. While we know for sure that there is a dust problem on the moon, it isn't as clear if astronauts on Mars would have similar problems with their spacesuits. NASA is in fact more focused on sending humans to Mars in the 2030s than returning to the moon, although the agency recently released tentative plans for a Deep Space Gateway space station near the moon that could be used for several destinations. Until recently, NASA also had designs to send astronauts to an asteroid as part of its asteroid redirect mission, but that was canceled as a part of the 2018 US presidential budget request. While NASA is still hoping to send humans to Mars, its plan has been criticized for not having enough money allocated — at least yet — to follow through on that promise in time. Still, the agency has several robotic missions at the Red Planet that are doing scientific investigations and examining surface conditions for possible future missions to the surface.